The Recipe: Chicken with rice, all bound together with a quick sauce made with caramelized onions and warm spices, topped with a quick sauté of matchstick carrots, raisins, almonds and saffron. Sound, um, unusual? It's amazing. The Conversation: So what do you think, would you eat with your fingers? Just once, maybe, to try it, in the company of friends? Eat With Our Hands? Why Not?! "Come hungry," I told everyone the day before. "I'm cooking Afghan food." "Will we eat with our fingers?" one friend asked with an email giggle. "Why not?!" I thought. So when we sat down to what turned out to be a great meal and excellent party food, this Afghan Chicken & Rice Casserole and an amazing eggplant and tomato layered casserole, Afghan Eggplant & Tomato Casserole, I suggested we give eating with our hands a try. And call me surprised but only half my friends were willing to experiment with eating with our fingers. For those of us who did? It was weird and awkward. But y'know, what an easy thing to try. Why not?! Afghan Chicken: Except with Beef! When you have a freezer full of grass-fed, corn-finished beef raised by your neighbors in the country, it's just crazy to buy chicken and pork! 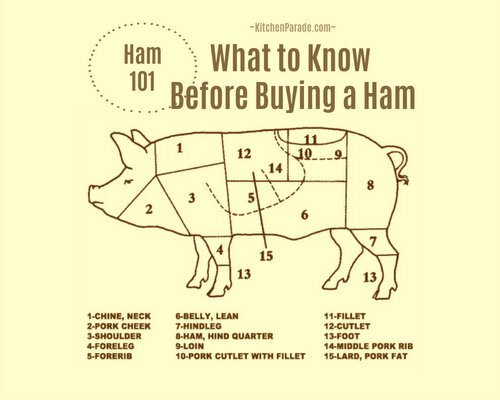 That's why you'll find so many beef recipes here at Kitchen Parade. We loved-loved-loved this beef version of Afghan Chicken. Since there's no beefy equivalent of rotisserie chicken to conveniently buy at the grocery store, instead I made some Slow Cooker Shredded Beef. The salsa added a little heat to the casserole, that was good too! Other than that, I followed the recipe just the same. Wonderful! "QUICK" CARAMELIZED ONIONS Oops, no time to make Slow Cooker Caramelized Onions? No problem! Just slice a pound of yellow onions and cook slowly on the stove, stirring often, with 1/2 tablespoon butter, 1/2 tablespoon brown sugar and 1 tablespoon white wine, bourbon or dry sherry. Watch the onions carefully, they'll burn in a flash. Allow about 30 minutes of cooking time, that's why "Quick" is in quotes. The time is mostly unattended but do stay close! GARAM MASALA What's this, you ask? It's a spice blend from India, there are many, many variations based on locale and personal taste. You can buy a commercial spice blend for garam masala but it's easy to make your own. This is the spice mix I used for this recipe. I make a triple batch to keep on hand but to make your own, just enough for this recipe, combine 1 teaspoon cumin, 1/2 teaspoon each coriander and cardamom, 1/3 teaspoon each black pepper and cinnamon, 1/6 teaspoon each cloves and nutmeg. RICE Bring the water (3 cups for 8 ounces of rice, 6 cups for 16) to a boil. Rinse the rice under running water in a strainer or colander two or three times. Add the salt and rice to the water, bring back to a boil. Reduce heat and let boil quite hard for 6 minutes until the rice is "almost cooked". Turn off the heat and let the rice rest, it will absorb the rest of the water, it's fine if there's a bit of unabsorbed water. CARAMELIZED ONION SAUCE While the rice cooks, in a food processor (a mini food processor works fine), pulse the garlic cloves a few times to mince. Add the Caramelized Onions, tomato paste, garam masala, saffron and process until smooth. Add the chicken stock, process until smooth. Be aware, on its own, this sauce will taste very salty; don't worry, though, it's seasoning the entire casserole, salt is necessary! CHICKEN In a large bowl, collect the meat. Stir in the roasted peppers, the Caramelized Onion Sauce, then the Cooked Rice. Transfer to an oven-safe baking dish. TOPPING In a skillet, melt the butter until sizzly. Add the carrots and sauté until soft and beginning to turn color. Add the remaining ingredients and simmer until the water has cooked off. Set aside until ready to serve. TO SERVE When the casserole is hot and bubbly throughout, remove from the oven. Spread the topping over top and serve hot. MAKE-AHEAD TIPS Both times I made this, I made the casserole a few hours ahead of time and refrigerated the chicken-sauce-rice combination until it was time to go in the oven. The topping can also be made ahead of time, just keep it separate. ALANNA's TIPS So right off, let me say that you may want to play with the proportions of chicken and rice, depending on how much meat the rotisserie chicken yields. Both times I made Afghan Chicken & Rice Casserole, I bought rotisserie chickens from Sam's Club. They are H-U-G-E, a real value for five bucks. That first chicken yielded almost two pounds of meat and I considered using less than the 16 ounces of rice (cooked) – that's a trick I use all the time, intentionally reversing the proportions of a starch (like rice or pasta) and vegetables/protein. So for the second casserole, I fully planned to cook only 8 ounces of rice. But then that second chicken yielded a full three pounds of meat! So I stuck with cooking the full 16 ounces of rice. My recommendation? Stick with 8 ounces of rice for a smaller chicken, the full 16 ounces for a larger chicken. Is rinsing the rice really necessary? Probably not but when I made the same casserole with beef, not chicken, I did and that version version was especially good. For rice, both times I used a Trader Joe's package of "Basmati Rice Medley" – it's got a little wild rice plus dehydrated carrot, leek. Honestly, I love the bit of added color! (You wouldn't want to rinse this rice, however.) With plain basmati rice, I'd be tempted to throw in some wild rice. Both times, I also thought about adding some other ingredients to the chicken and rice, chopped artichoke is a top candidate. NUTRITION INFORMATION (assumes 3 pounds of chicken and 16 ounces of uncooked rice) Per Cup: 314 Calories; 6g Tot Fat; 2g Sat Fat; 71mg Cholesterol; 359mg Sodium; 33g Carb; 2g Fiber; 6g Sugar; 28g Protein. WEIGHT WATCHERS POINTS Old Points 6 & PointsPlus 8 & SmartPoints 8 & Freestyle 5. NUTRITION BEST ESTIMATE (my estimate for 2 pounds of chicken and 8 ounces of uncooked rice, sorry, I didn't measure the yield for this but the calculation assumes a yield of 12 cups casserole, sorry, this is way looser than usual) Per Cup: 267 Calories; 6g Tot Fat; 2g Sat Fat; 60mg Cholesterol; 430mg Sodium; 27g Carb; 2g Fiber; 7g Sugar; 24g Protein. 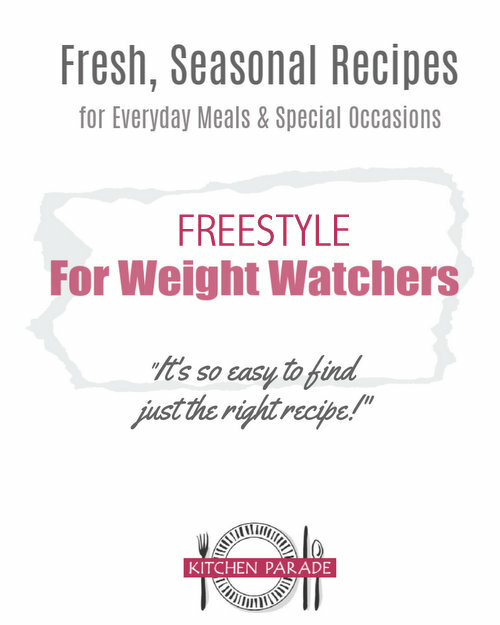 WEIGHT WATCHERS POINTS Old Points 5 & PointsPlus 7 & SmartPoints 7 & Freestyle 5. Inspired by Global Table Adventure, a wonderful blog. Question: is the rice measured dry? How much water if you use less rice? Sunny ~ Thank you for noticing that! Even I was getting turned around on the rice business, even with good notes! And yes, the rice is measured dry. This is a great casserole -- we’re expecting a bunch of people coming in one Thursday night in June, this is what I plan to serve, I already know, that’s a minor miracle!